Tucked up for the day, the cars of the commuting community. 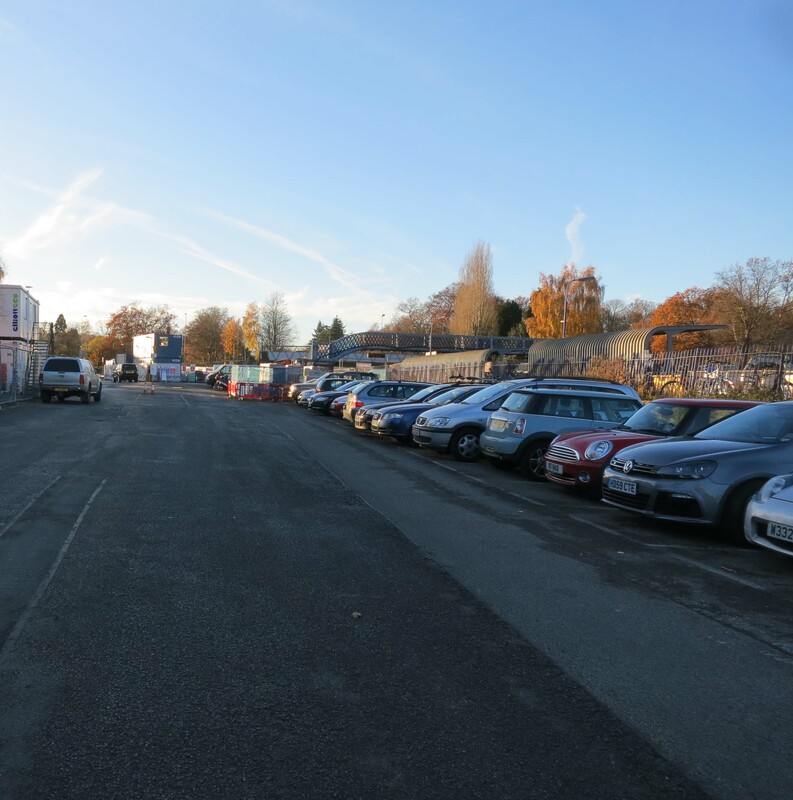 Work is in progress for a new station building and car park. The community is currently very unhappy at the inconvenience. I bet they are! If only these these changes could happen overnight – assuming it isn’t taking away a nice green space or someones property. Some of the complaints, though, have been ridiculous. The work will take a while – but will be such an improvement. I think some people just complain for the sake of it…. It’s all happening on railway property. Then they should back off shouldn’t they? Few people fail to benefit because improved parking has a knock on effect! Weekly Photo Challenge: Community (Christmas Circus) | What's (in) the picture? It has many cars. It looks silent for a while.